Cast iron foundry is an important element for circular economy as they rely mainly on scrap material for their production. Nowadays, an increasing amount of steel scrap is composed of galvanized steel or high-performance steel that contains large amounts of chemical elements. 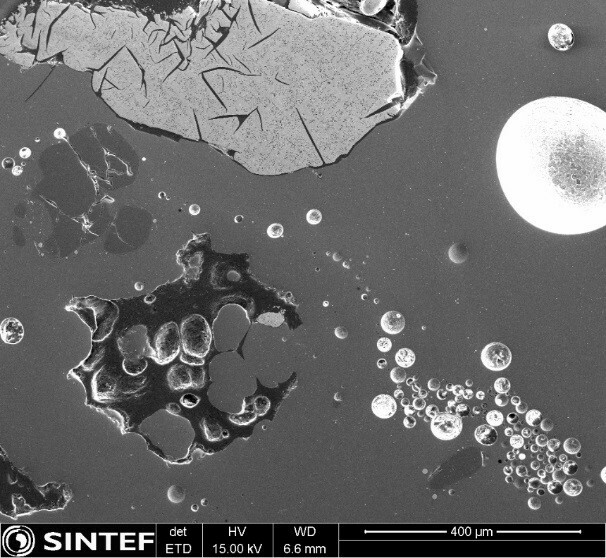 Unfortunately, handling galvanized and high-alloyed scrap is quite challenging for two main reasons: Sink (Zn) emissions during melting is an environmental and health issue and both Chromium (Cr) and Zn have detrimental effects on the equipment and microstructure (and hence on the final component properties). To maintain quality and efficient production, new foundry products and practices are required. A research project, ACTIF, has received support from the Research Council of Norway to address this issue. The work is initially focused on understanding and predicting the slag formation. During iron melting, the scrap material is exposed to high temperature and oxygen. Consequently, oxides are formed on the surface as a more or less viscous layer that can be removed. 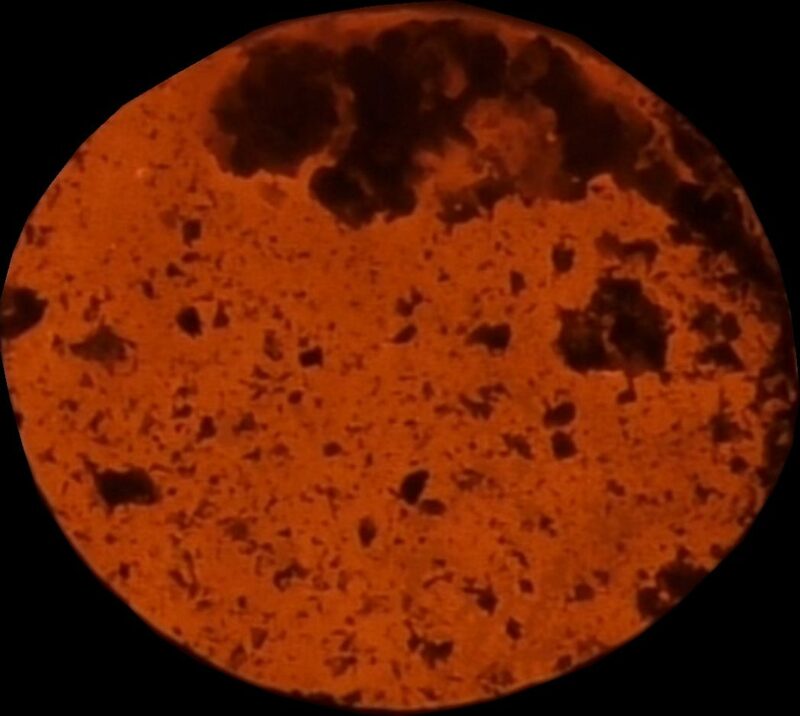 Slag is mainly a collection of compounds such as SiO2, Al2O3, Cao, FeO, MgO, MnO but can entrap cast iron droplets. 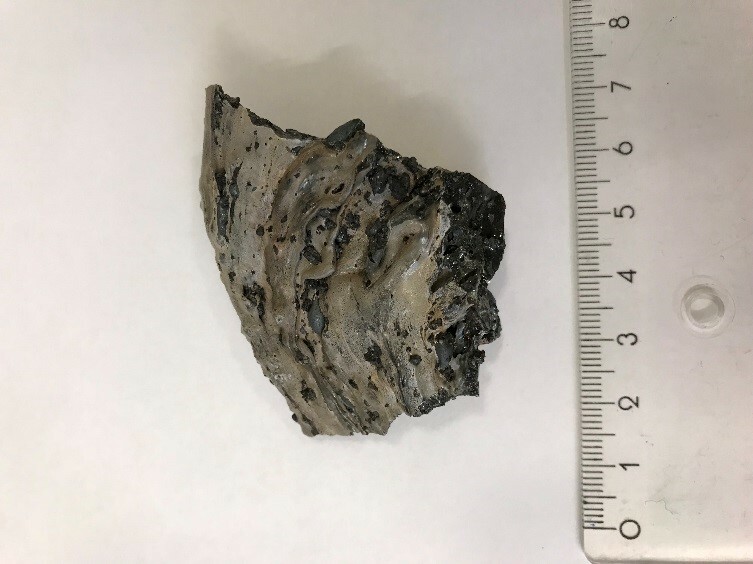 Slag also forms during melt treatment and contains sulphides. In iron metallurgy, control of slag formation is essential to reach the alloy target chemistry by assisting in the removal of impurities and protecting the furnace refractory lining from excessive wear. Another aspect is also to minimize iron loss. The aim is a slag mainly consistent of oxides of calcium, silicon, magnesium, and aluminium. 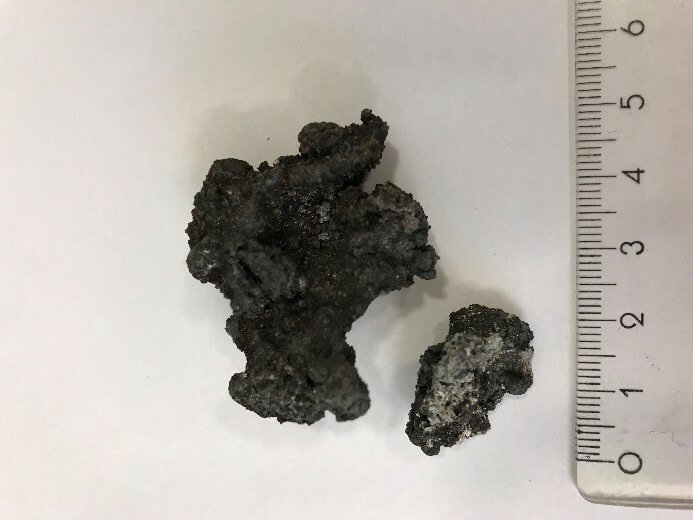 The project team has established a procedure to collect sample in the plants to gather information on the slag and understand the factor that affect its formation. Slag samples at two different process steps. In addition, video recording of the surface of the melt has been tested. By applying, image analysis algorithm on the video frame, the formation rate of the slag layer has been measured for different configurations. 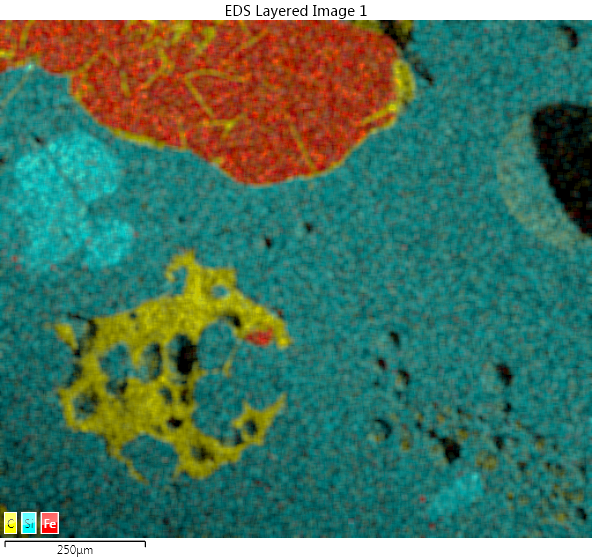 Finally, advanced microscopy has been used to look at the microstructure. It enables us to see the pores (spherical white shapes), the metallic phases and the oxides phases. Additional chemical measurement has also been performed to determine the type of phases and where the impurities goes. Over the years, a lot of information has been generated on chemical reactions and phases forming in iron melt. That information has been analysed and systematized into Thermodynamic Database. This data can then be exploited with software such as FactSage©, where one can calculate the conditions for multiphase, multicomponent equilibria, with a wide variety of tabular and graphical output modes, under a large range of constraints. 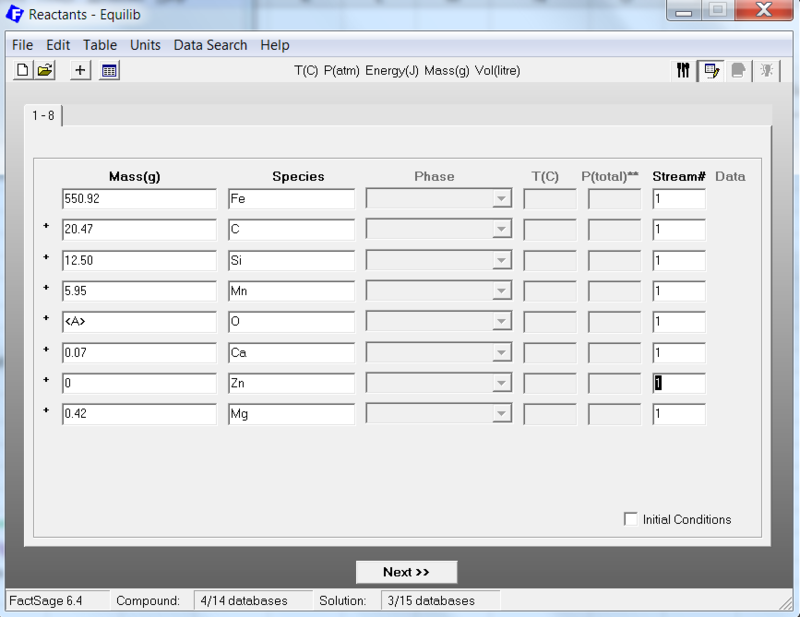 In our case, metal/slag/gas/solid equilibria can be accurately calculated for our industrial systems. 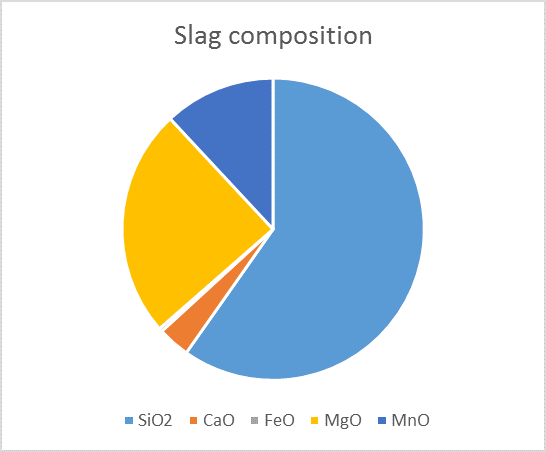 The results, as illustrated in the figure below, is the quantification of the different phases present in the slag. The main advantage of this approach is the facility to modify and test different chemical systems quickly and at a low cost compared to experimental work. The combination of experiments, advanced characterization and thermodynamic modelling will allow the consortium to develop new procedures for controlling the chemical elements in the iron melt. The aim is to develop new products to help remove the detrimental elements, valorising the Zn contained in the scrap, and improved productivity. By achieving our goals, the Norwegian foundries could use up to 75% of raw material from steel scrap otherwise difficult to recycle. This would be a major contribution in establishing Norway as a driving force for practical implementation of circular economy.